Expect 2-4 Positional Calls in a month. "PCSC" Patience + Capital Management + Strategies + Conviction is our trading mantra. Derivative ( Futures and Options ) instruments have very High Risk, where losses are not only restricted to the capital / margin and may exceed much beyond capital / margin amount. Hence you are advised to trade with only 1 lot and maintain a capital of 6 to 8 lacs. 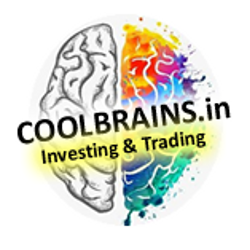 If you choose this service which is Trading in Derivatives or Futures & Options Advisory Services of Sokhi Team / CoolBrains, your Risk Profile is " GROWTH ". This means an investor who is comfortable with a higher level of Volatility & risk in order to achieve potentially higher returns. Capital security is secondary to potential wealth accumulation in such case. As a High Growth Portfolio Investor, you might expect your portfolio to be allocated mostly in growth assets. We are not Magicians who will make your Rich Overnight / We never Promise or Guarantee any Unreasonable returns in stock market, we are just a team of hardworking individuals who are sincere, committed and authentic in our research and approach to trading. Join us only if you are mature enough to understand the risk associated with financial markets.